First impressions are lasting. Beautiful landscaping is a smart investment because it elevates the overall appearance of your home, and increases the value of your property. Whether you are building a brand-new custom home and starting from scratch, or remodeling your home and working with some existing landscaping, you want the outside of your house to reflect the time, effort and care you put into making the inside perfect. But, planning the landscaping for your yard seems like an overwhelming task, so where do you start? Here are 7 tips from Bernie Mihm, landscape architect and owner of Fine Earth Landscape in Poolesville, Maryland. A thorough assessment of your front yard and back yard is necessary to determine topography, soil type, sun/shade patterns, utility considerations and more. A professional landscape architect will be able to take inventory of your site, make recommendations and create a design that can be implemented all at once or in stages, based on your budget. 2. Who Will Use Your Yard and How Will They Use It? During the initial planning stages, think carefully about how your family members and you will use your front and back yards. 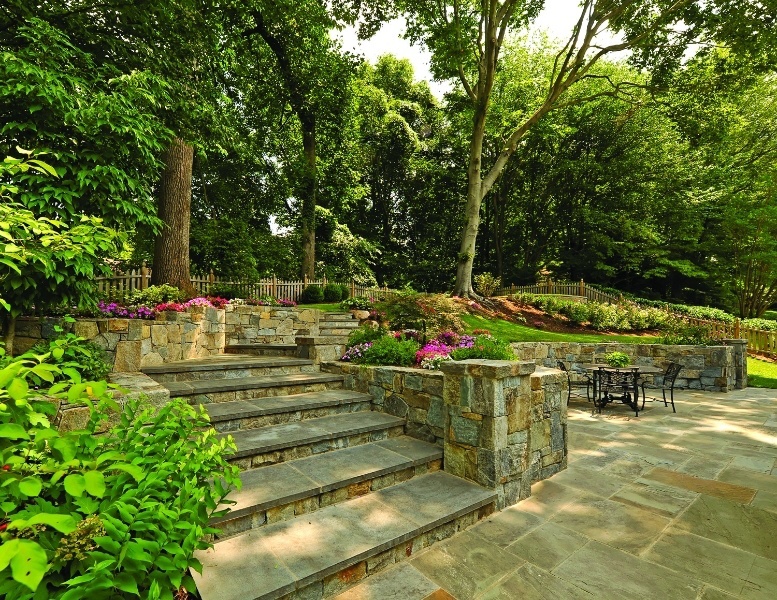 Discuss your vision and needs with your landscape architect. Do you want a large expanse of grass, or would you rather not mow a big lawn? Will your front yard be a showcase for your gardening skills? Would a unique walkway create a focal point in your design? Do you require a large driveway to accommodate extra vehicles for your teenagers? 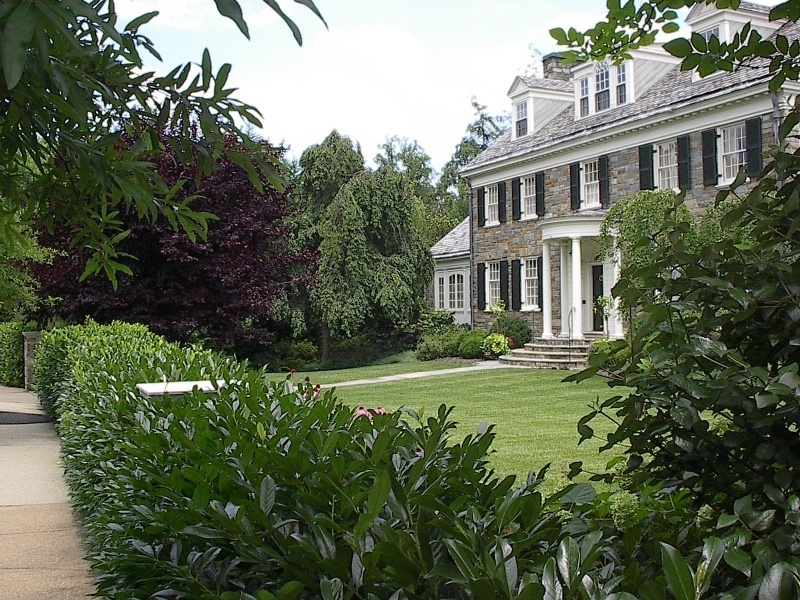 Do you need trees for shade or ornamentation? Would you like a sitting area in your front yard? Should space be allocated in your back yard for a vegetable garden? Do you have small children or pets? If so, will you need a fence, a play area or a sheltered kennel? Are you planning to build a pool that will necessitate hardscaping and/or special safety requirements? 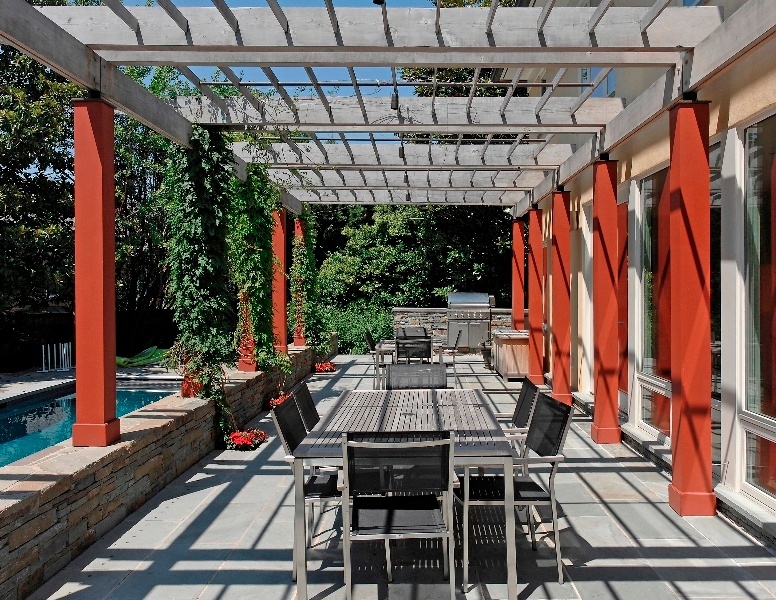 Do you entertain often and want an outdoor kitchen or oversized patio in your back yard? Would you like to have privacy screening from your neighbors? 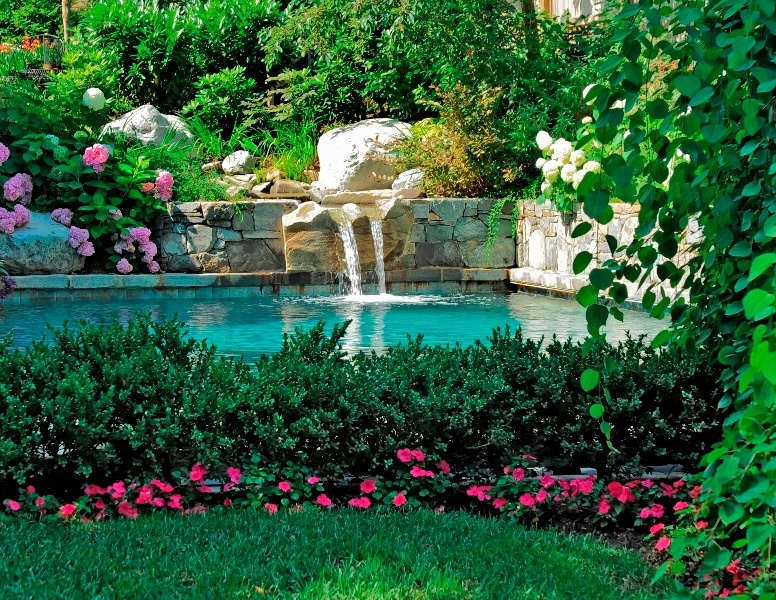 Is your dream to have a water feature to turn your back yard into a Zen-like paradise? 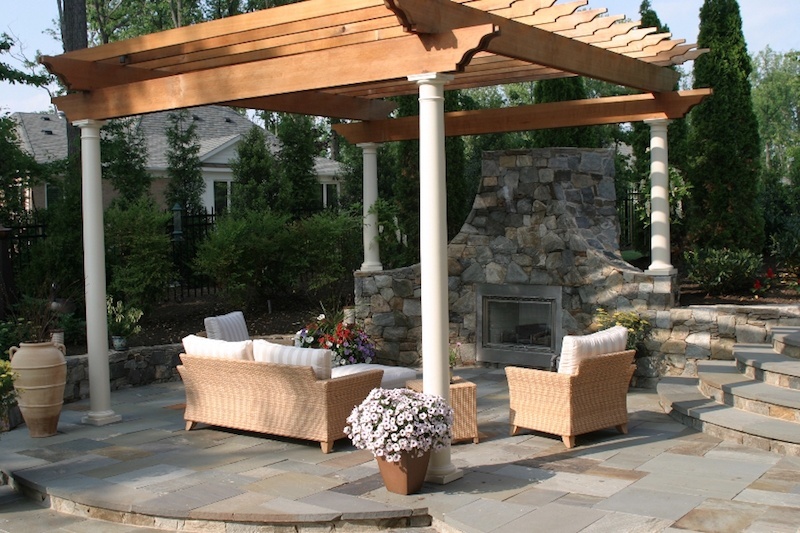 Your outdoor space should be an extension of your indoor space. Is the interior of your home traditional in design or more modern? Is your style more formal or informal? 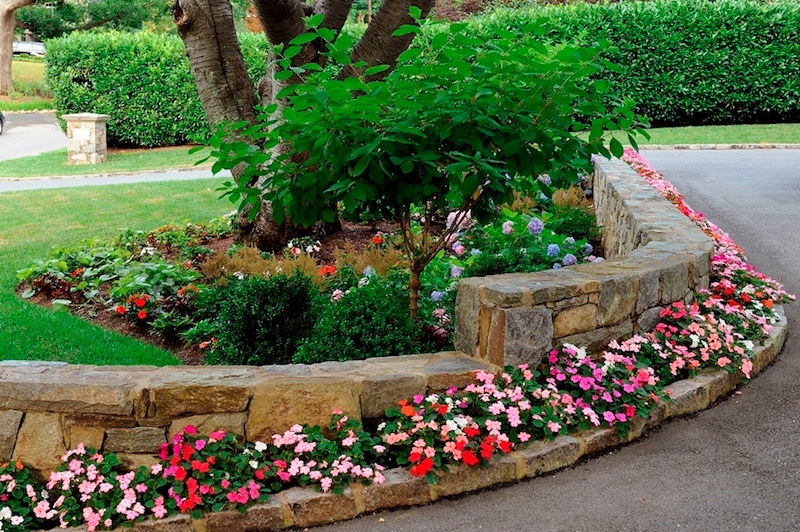 The style and appearance of the landscaping should reflect your personality and lifestyle. If you are a traditionalist, then a formal garden and lawn may be just what you want. If low-maintenance and informal are more your style, then water features, wild grasses or a rock garden could be right for you. Find pictures of landscaping in magazines and online that you find particularly beautiful and share them with your landscape architect. Discuss your general likes and dislikes. 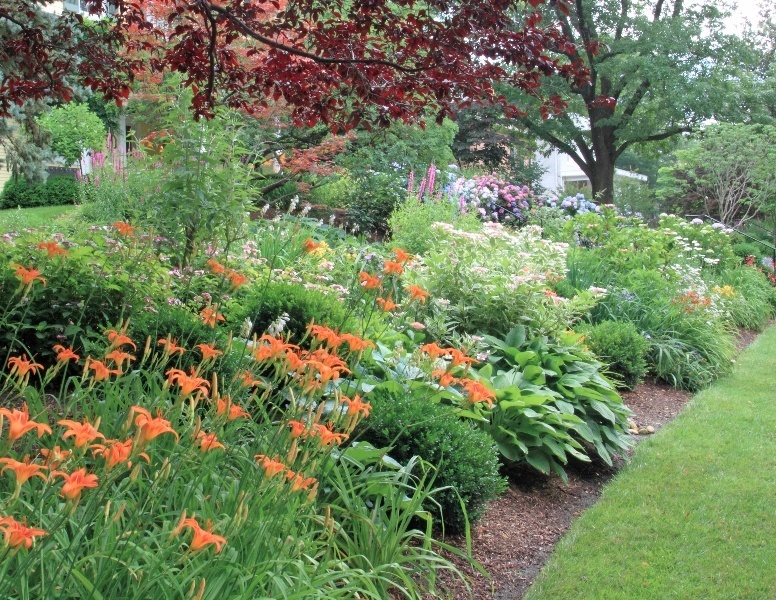 Choose trees, shrubs and other plantings that will create visual interest all year long. Consider the time it takes for each type of planting to grow and mature for proper placement and spacing. If you want flowers in your yard, think about the colors that you favor. And, make sure that you understand what will be required in terms of maintenance and upkeep for all of the landscaping elements that you select. Be honest with yourself about how much time, energy and money you want to invest in taking care of your landscaping. Hardscaping refers to structures that are incorporated into landscaping such as driveways, walkways, patios, pool decks, retaining walls and water features. The materials used in your hardscaping should complement the architecture of your home. For example, brick pavers may be perfect for a walkway leading to a colonial home, but flagstone may work better with an Arts and Crafts style. Hardscaping should be attractive and functional. For example, the walkway to your front door can be a winding, lovely path, but it must provide a level surface that is easy to navigate. Also, take proportion into consideration when planning your hardscaping. Your patio should be big enough to hold all of your guests when you are entertaining, but not so large that it fills-up most of your back yard. A driveway must be wide enough for you to get out of your car without stepping on your shrubbery. Since hardscaping can be very costly, consider implementing different parts of your plans in stages. Take stock of your front yard and back yard at different times of the day. Are there areas that are mostly sunny or always shady? How does the water drain after a big rainfall? What type of soil do you have? All of this information will help your landscape designer and you select plantings that are appropriate for various locations in your yard. An aesthetically pleasing landscaping design takes into account balance, scale and unity. Layering a variety of trees, shrubs, plants and flowers will soften and frame your home. 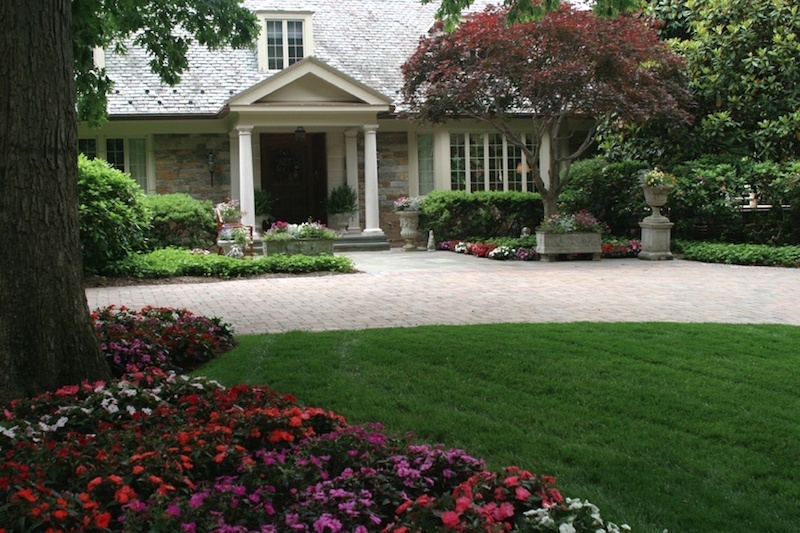 To achieve balance, give equal weight to plantings on either side of your home. That does not necessarily mean the landscaping must be symmetrical, just balanced. Keeping all of the elements in proportion as they relate to each other and the size of your home, will give you the right scale. And, don't forget to consider how large the shrubs and trees will be when they are fully-grown. Finally, combining plantings with similar shapes, colors and textures will give you a unified look in your landscaping. Having a plan that can be implemented in stages will help you to stay within your budget. For example, if you are building a new patio, but you can't afford the outdoor kitchen you want now, make sure you run the gas and water lines you will eventually need when the ground is already dug-up. It's important to understand what should be undertaken initially, and what can wait. Proper planning is essential to saving you money in the long run.